CHESTER — Members and officials with the Weirton Area Chamber of Commerce, along with their guests, gathered Tuesday at Mountaineer Casino, Racetrack and Resort for the chamber’s 83rd-annual membership meeting and awards banquet, recognizing the accomplishments of area businesses and revealing a few new programs. Mull announced 34 new businesses had joined the chamber in the last year, presenting a PowerPoint presentation with 100 photographs of various chamber and community events. She also highlighted some of the regular programs, including Youth Leadership Weirton, Leadership Ohio Valley, the Dr. Barbara A. Matey High School Business Symposium, the Weirton Christmas Parade and Christmas in July Golf Scramble and the Wine and Dine at Williams, which will feature a Memphis theme this year. “Our goal is to always bring you value for your membership,” Mull said, announcing several new programs launched during the last year. The chamber has teamed up with First Microloan West Virginia to relaunch a series of educational seminars, which, to date, have focused on areas such as Robert’s Rules of Order, digital marketing and customer service. It will return April 24, working with the Business Development Corp. and the City of Weirton for an economic outlook conference. New business and restaurant guides were recently released, showcasing several area establishments. This year, the chamber also is working with Pierce Media on a legacy video program, where businesses will have an opportunity to tell their own stories, and then share them online. “We have so many businesses here with longevity, why not tell about it,” Mull said. 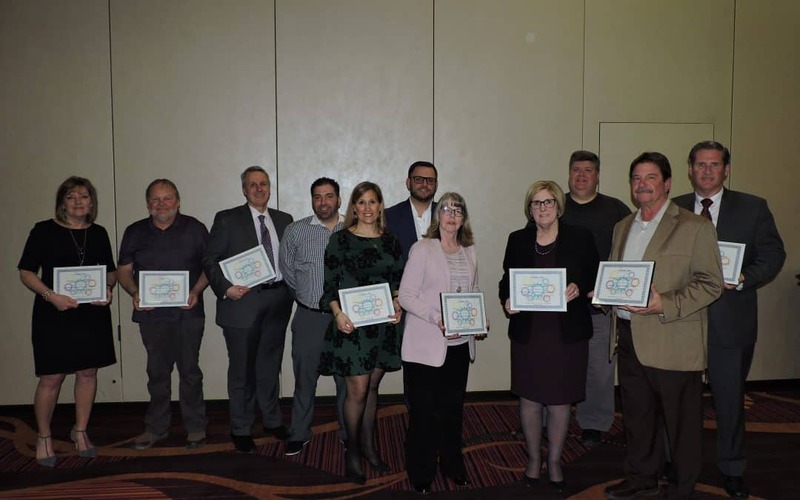 Along with the topic of legacy, Mull recognized 22 businesses with landmark anniversaries Tuesday. Those included Tudor’s Biscuit World, Fairfield Inn and Suites, J. Austin Heating and Cooling, R.E. Saxon Jeweler and Theo Yianni’s with 10 years; Crystal Clear Window and Gutter Cleaning, Lombardi Development Co., Woodland Trails Greenhouse, Pepsi-Cola Roadhouse and Autism Society-WV Northern Panhandle with 20 years; Washington County Council of Economic Development, Aladdin Signs and Guida Law Offices with 30 years; General Rental with 40 years; Selletti Properties, Hancock County Sheltered Workshop and Gas For Less with 60 years; D’Anniballe & Company with 70 years; First Choice America Community Federal Credit Union and Cattrell Companies with 80 years; James White Construction with 90 years and Hancock County Savings Bank with 120 years. Also presented were four new awards, voted on by the members. 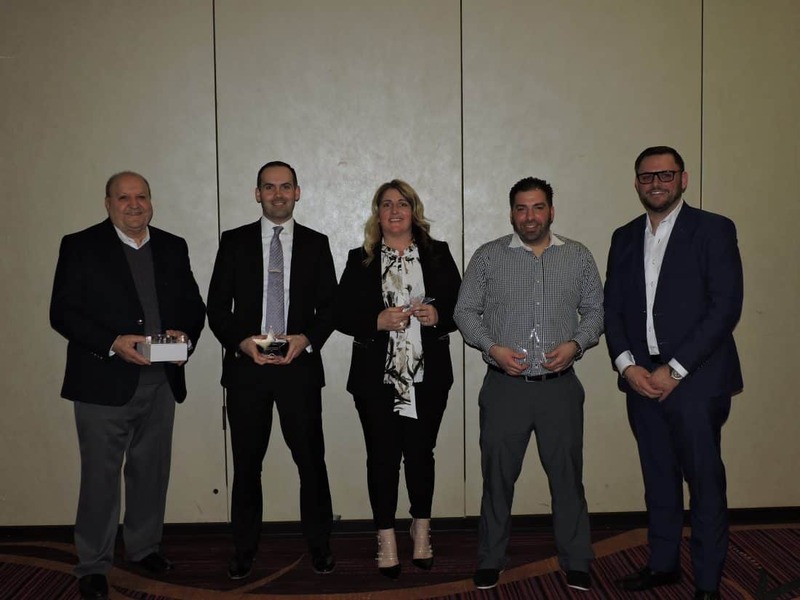 Those awards and recipients were: Jonathan Beynon, the Chamber All-Star Award; Be Spa, Salon & Yoga, the Rising Star Award; Gus’s Goodies, the Proven Success Award; and Theo Yianni’s, the Best Hang Out Award. Lytle shared some of her personal story, about the difficulties she has faced in life and learning of the importance of learning from your failures, and of not turning down an opportunity when it is presented. “If you’re waiting for the right time, it may never happen,” Lytle said. She relayed of how, while she was a chamber member for several years, and was running a successful business, there still were people who didn’t know of her or her business. “I was invested in me. I was invested in my business. I wasn’t invested in my community,”Lytle said. She resolved to accept whatever opportunity came to her, joining the Rotary Club of Weirton Heights, taking part in the chamber’s Leadership program and getting involved in the Weirton United Way among other things. Chamber Board President Barb Barkley also encouraged those gathered to find ways to get involved in the chamber and their community. “If you give of yourself, you will get something in return,” Barkley said.